Do you want to encourage and motivate your employees to love their work and give an exceptional performance each time? For this, it is very important to first learn what motivation really means. Motivation can be termed as that internal drive of the employees to take an action. It can be their enthusiasm to accomplish the activities related to their work in the best possible manner. Retaining the attention of the employees has become more difficult than ever because of the increased competition and the hard work required by each of them. During the tough times, the leaders are often seen pulling their backs and not communicating effectively with the employees. In certain cases, the communication even becomes non-existent. This causes further anxiety and negative speculation in the company’s environment. When the work is more and salary is limited for the employees, the thing which can make them stick to their particular job is effective communication. Whether through blogs, speeches, videos, or Q&A sessions, an effective communication strategy can ensure the best performance of the company even during the toughest economic conditions of the state. Employees are always motivated to advance in their careers and achieve more. As an employer, manager, or a leader, you will be sustaining really high levels of motivation if you open various doors of opportunities for your employees. This will make them even more proficient in seizing all the opportunities and developing a strong career path. Employee recognition is very easy but many companies still fail to incorporate it in their working. All it requires is calling out the efforts and hard work of the employees by returning them with something. The appreciation task can be as convenient as simply saying a ‘Thank you’ and can be further taken to levels of introducing an employee reward system or offering bonuses. Having fun at the workplace will lead to the elimination of the unavoidable boredom there and will snap the employees out of their dull routine. Even the schools recognize the need for the children to have some fun and give them a recess break. According to a survey by Hodge-Cronin & Associates, out of 737 surveyed CEOS, 98 percent preferred candidates with a sense of humor. Another research has revealed that the executives believe that employees having a sense of humor can perform the job better than those having none at all. A survey from Unify covered 9,000 workers from the UK, USA, and Germany. The findings of the survey revealed that 95 percent of respondents said that their ideal workplace would not be “controlling”. There is a reason that there are managers in companies and firms because they need to navigate the entire workforce. However, letting the employees choose their own way of following the track is advisable. Michelle McQuaid and the Via Institute on Character found in their survey that employee engagement is enhanced when the managers allow them to build their strengths rather than improving their weaknesses. Leadership which always provides back to the employees and is looking for ways to make them perform better can help the employees achieve higher levels of motivation. 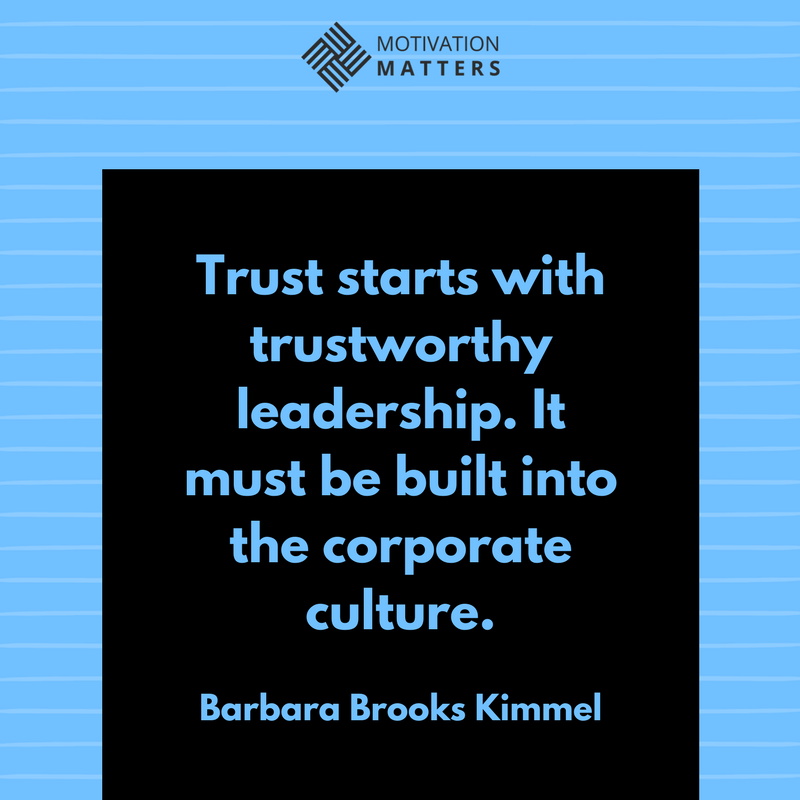 Trust is a very powerful tool and all the transparent leaders will find surprising results and great opportunities to develop the talent of the employees. In 2015, a survey was conducted by Achievers and it showed that only 45 percent of Americans trusted their leadership. This meant that a significant portion of the employees is unlikely to voice their opinions, speak their minds, and provide suggestions to resolve an issue. As an effective leader, it is your responsibility to assure the satisfaction of the employees and not just assume it yourself. Most of the time, the employees are keeping a smile not because they are content but because they need to save their jobs. The situation should be otherwise. The employees must be willing to contribute towards the well-being of the organization and must happily strive to achieve the combined as well as individual goals.